Ladies open: 100m breaststroke 1 Naomi Smith, 2 Rebecca Robinson, 3 Victoria Curry. 200m freestyle 1 Laura Huggon, 2 Naomi Smith, 3 Rebecca Halliwell. Men’s open: 100m breaststroke 1 Daniel Smith, 2 Colin Slee, 3 Jason Heath. 400m freestyle 1 Jeff Marshall, 2 Daniel White, 3 Stewart Marshall. Girls, 16 and under: 50m freestyle 1 Laura Huggon, 2 Naomi Smith, Rebecca Halliwell. 13-14 years: 100m backstroke 1 Rebecca Halliwell, 2 Jenny Bradbury, 3 Emily Benson. 4x50m individual medley 1 Rebecca Halliwell, 2 Emily Benson, 3 Jenny Bradbury. 11 years and over: 50m butterfly 1 Naomi Smith, 2 Laura Huggon, 3 Rebecca Robinson. 50m freestyle 1 Laura Huggon, 2 Naomi Smith, 3 Rebecca Robinson. 11-12 years: 100m butterfly 1 Laura Huggon, 2 Rebekah Thims, 3 Lisa Banks. 100m freestyle 1 Laura Huggon, 2 Rebekah Smith, 3 Lisa Banks. 10 years: 50m breaststroke 1 Whitney Savage, 2 Julie Bradley, 3 Josephine Altham. 9 years: 25m freestyle 1 Jodi Hebson, 2 Georgie Harris, 3 Hannah Jones. 25m butterfly 1 Jodi Hebson, 2 Georgie Harris, 3 Hannah Jones. 8 years: 25m backstroke 1 Courtney Savage, 2 Hannah Johnson, 3 Francesca Braithwaite. Boys, 16 and under: 50m freestyle 1 Stewart Marshall, 2 Daniel White, 3 Jason Heath. 13-14 years: 100m backstroke 1 Allan Armstrong, 2 Daniel White, 3 Mark Nixon. 4x50m individual medley 1 Allan Armstrong, 2 Daniel White, 3 Mark Nixon. 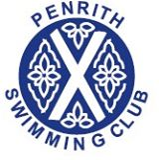 11 years and over: 50m butterfly 1 Colin Slee, 2 Danny Smith, 3 Allan Armstrong. 50m freestyle 1 Danny Smith, 2 Jeff Marshall, 3 Colin Slee. 11-12 years: 100m butterfly 1 Martin Heath, 2 James Halliwell. 100m freestyle 1 Martin Heath, 2 Jonny Pritchard, 3 James Halliwell. 10 years: 50m breaststroke Calum Forsyth, 2 Arran Pamphilon, 3 Adam Huggon. 9 years: 25m freestyle 1 Ben Lydon, 2 Jay Johnson, 3 Tom Kitching. 25m butterfly 1 Ben Lydon, 2 Tom Kitching, 3 Jay Johnson. 8 years: 25m backstroke 1 Aaron Wharton, 2 Andrew Braithwaite, 3 Zachary Purves.